Jim explains why marketers should care about what’s happening in book publishing. You’ll learn how books can increase your credibility and help you close business deals. You have to give people enough information to incite them to give you their business and publishing a book can help you do this. A book is the best business card you will ever have. It’s a game-changer. Listen to the show to discover why now it’s easier than ever to publish a book in print or digital form. Before Content Management Systems (CMS) existed, the only people who could put content online were those who could write HTML. Today anyone can put their thoughts and expertise out there. Jim explains that to publish a book today, you don’t need to have a publisher and you don’t need to print books that sit in a warehouse. 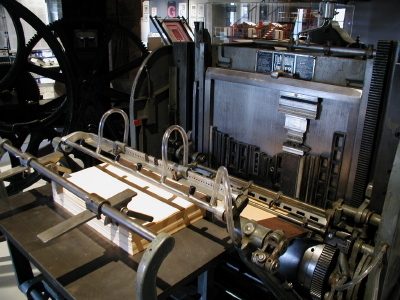 Publishers are in the business of paper and the world is changing to digital. Of course you can still do print and print-on-demand. But why print 10,000 to 20,000 copies of a book to sit in a warehouse, when publishing an eBook is so much easier? According to Jeff Bezos, there are currently more digital books than print books. Listen to the show to find out why nonfiction is still outselling fiction. Jim talks about how consumers find eBooks on Amazon and other websites like Smashwords, Barnes and Noble and Apple. There is also a growing number of websites that recommend their favorite Kindle books. And if you already like an eBook, you can recommend it or loan it to someone through your Kindle device. Amazon has the Kindle Direct Publishing Select Program. On this program, authors give Amazon a 90-day exclusive right to sell the eBook. In return, Amazon allows you to give your eBook away for free for up to 5 days during this 90-day period. 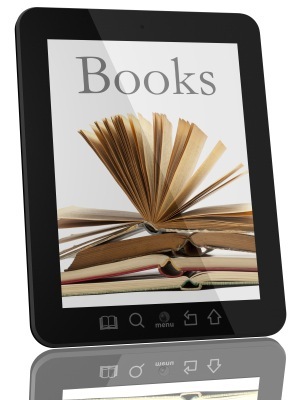 Jim shares how to discover the top 100 free eBooks on Amazon. 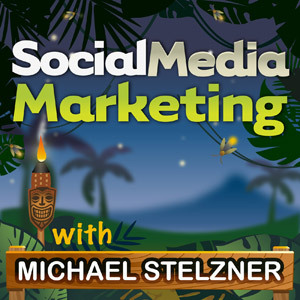 Listen to the show to find out the benefits of giving away your eBook. You’ll learn how to use your book to bring in business. 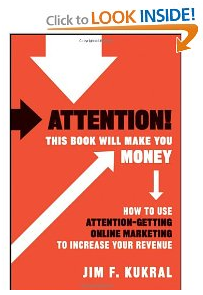 Giving your book away for free is a great lead-generation tool. There are many free digital business books available on Amazon. As a marketer, Jim has calls to action in his books. You’ll learn how he uses this tactic to leverage lead generation with his free books. When someone reads your book and reaches out to you, they are usually “warm leads.” They are more likely to do business with you. Another benefit is that people feel they know you after reading your book. This makes it easier for you to connect with them. Listen to the show to find out how books are lead-generators. 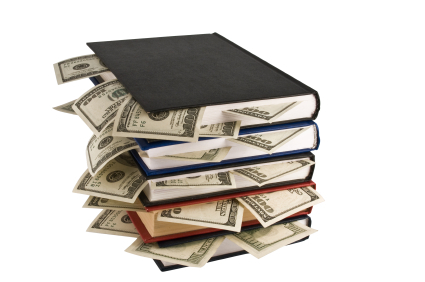 You’ll learn about the money you can earn with your book, depending on how you publish it. For printed books, if you publish with Wiley for example, on average you’ll be paid 15% royalties on wholesale prices. Listen to the podcast to find out why if your book is sold for $20, you’ll only earn $1.35 per book. This amount can go up or down based on the quantity of books you sell. Another consideration is the publishing “earn out“: if your publisher prints 10,000 copies of your book, you won’t earn any royalty until they have sold all 10,000 copies. Although sometimes you can get a signing bonus. Regarding eBooks, the advantage of a digital book on Amazon is you can upload the eBook you wrote last night and set the price you want. Currently Amazon says if you price your eBook between $2.99 and $9.99, you’ll get 70%. If you price your eBook outside of this price range, between $0.99 and $2.99 and more than $9.99, you’ll only get 35%. This pricing structure reflects Amazon’s desire to set the market on eBook prices and Amazon knows what sells at what price point. 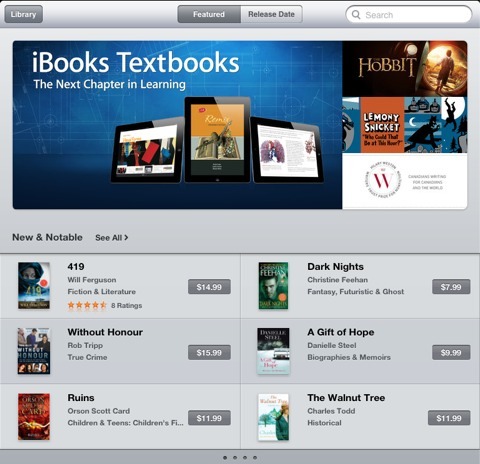 The opportunity to earn revenue is much greater with a digital book compared to a print book. Listen to the show to find out more about the best ways to price your eBook. You’ll find out how long your book should be and why. Jim says a book can be anything from 1,000 words to 100,000 words. 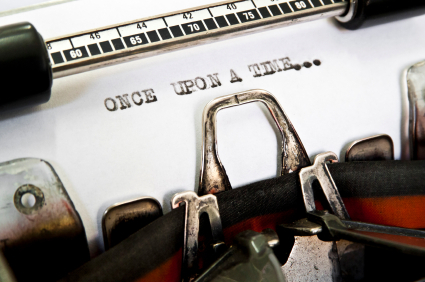 You could write a book of 5,000 words, upload it and sell it if you want. A story and information are not about length. Jim has a book on Amazon that is a short story of 8,500 words. He priced it at a couple of dollars and sells around 40-50 copies a week or so. The length is not huge, but it’s a great story. Amazon has a Look Inside feature that allows people to read the first 10% of a book, which gives them a chance to try before they buy. This is why it’s good to put some of your best content at the beginning of the book. 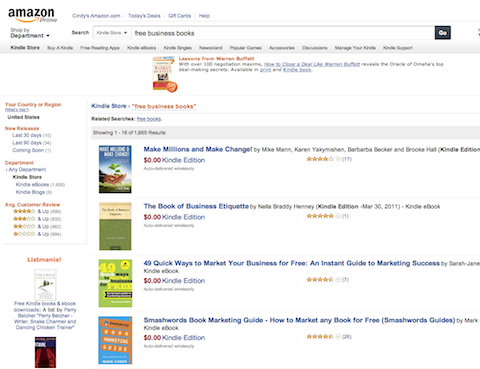 Amazon's Look Inside feature is a great way for people to read 10% of your book before they decide to buy it. Listen to the show to find out why it’s important to include some of your best content in the very beginning of your book. Jim explains that he’s been blogging since 2001 but stopped blogging consistently about 3 years ago. This is because his goal was to write 20-30 books over 5 years. He realized that all the time and effort he was putting into writing blog posts was time he could be writing chapters for his books. You don’t have to quit blogging, but think about how to get more from your writing. Will you get more out of 20 blog posts or a 30,000-word book with 20 individual chapters? Use the format that gets you more results. You could write both a blog and a book by taking the blog content you have and fitting it into a book. It’s a new content distribution model that allows you to still keep your blog. Many blog owners have the potential to go from blog to book. Listen to the show to find out how you can have both a blog and a book. Jim explains the importance of marketing your eBook before the product is finished. Book marketing always starts at the conception of the book. The day you have the idea for the book is the day you start marketing it. You can use Facebook and Twitter to share your book idea with friends, and from this you can get some great feedback regarding title, and so forth. Once you have a cover made for the book, you can show it to your audience on Facebook, Twitter and your LinkedIn groups and get their input. 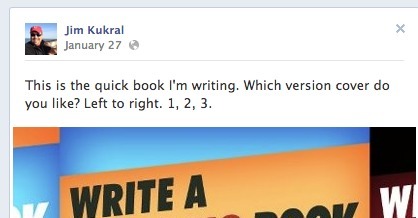 This way you can build a warm list of people who will potentially buy your book once it’s published. Involve your community in the creation of your book. Listen to the show to hear how you can have a successful launch of your new book. Jim’s advice to everyone out there who is thinking of writing a book is to believe that you can do it. Begin by opening a Word document, Google doc or download Scrivener and start writing. The time spent creating content and putting it into book format is going to be one of the greatest things you’ll ever do. You have to get past the fear. The format is not difficult and you can even upload a Word document to Amazon. The feeling you’ll have when you see your book on Amazon, or show it to a potential client or employer, is amazing. Listen to the show to find out how having a book can dramatically change how your business or brand is perceived. Clicktotweet gives you an easy tool to pre-craft a tweet. 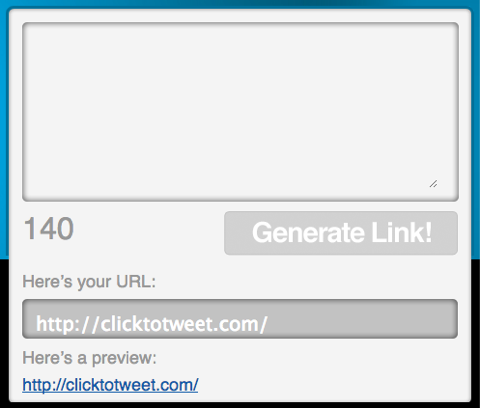 You simply write a message in a box and then click the “Generate” button to create a custom link. When you share this link and someone clicks on it, it will show your message in their Twitter status box and all they have to do is click to tweet your message. Use clicktotweet to generate a custom link. What do you think? What are your thoughts on publishing your own eBook? Please leave your comments below.